Not satisfied with just one Chinatown, San Francisco really has several – all with different vibes and purposes. Grant Avenue, with its Dragon’s Gate entry and shops stuffed with teapots and woks, is the perfect spot for tourists looking for a frenetic Chinatown experience. On Stockton Street – just one block over, but a world away – things get a little more serious. Walk along the street early in the morning, and you’ll see truckloads of pig carcasses and crates of stinky durian being unloaded into the dozens of groceries and small eateries lining the street. 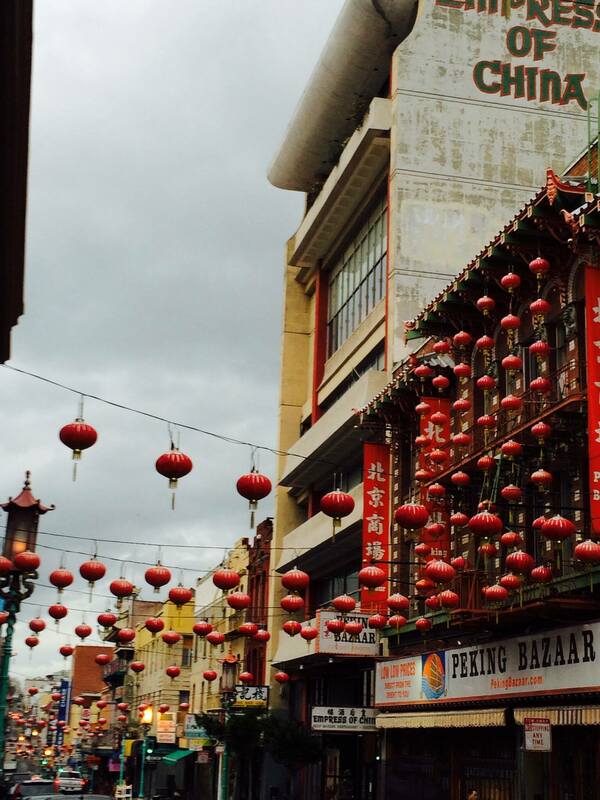 And then there’s Clement Street – known as San Francisco’s local Chinatown. Tucked away in the Richmond District, the street boasts authentic food, low prices, and a laid-back, neighborhood feel. 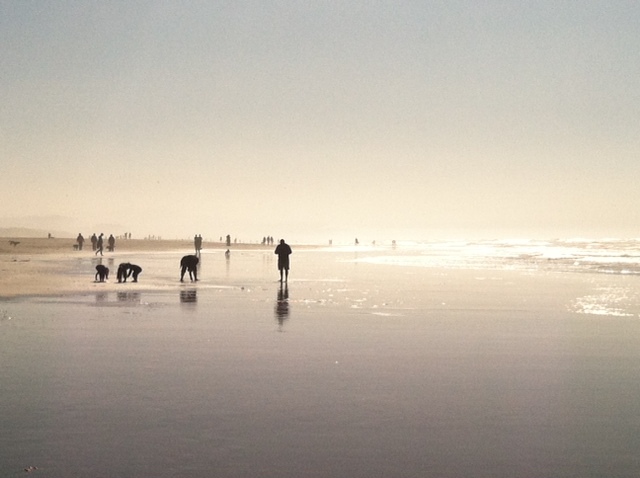 Before my first visit, San Francisco’s beaches never really occurred to me. Of course, I knew it was the city on the bay, but I guess I assumed the cold, misty weather would rule out beach time. That perception changed on a recent Thanksgiving visit. From the VRBO home my family was renting in the Inner Richmond, San Francisco’s beautiful Baker Beach was a short, scenic walk away. 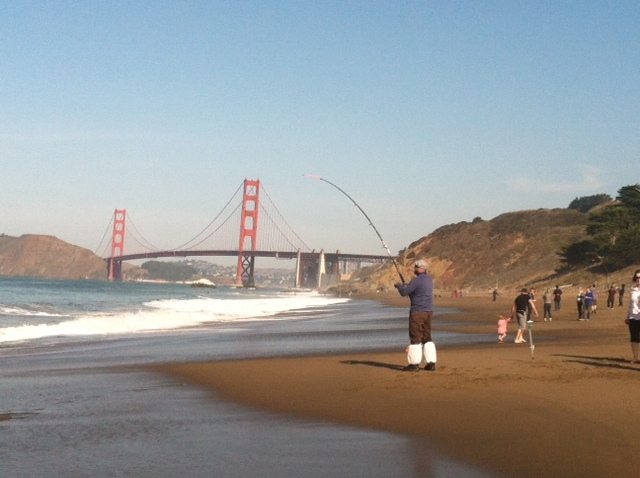 With the distant Golden Gate Bridge as a backdrop, the beach could hardly have been lovelier – alive on that sunny Thanksgiving with joggers, kites, and fishermen. And just down the coast, there’s Ocean Beach. Online reviews were mixed on the public beach that stretches along San Francisco’s west coast, but I found it delightful. 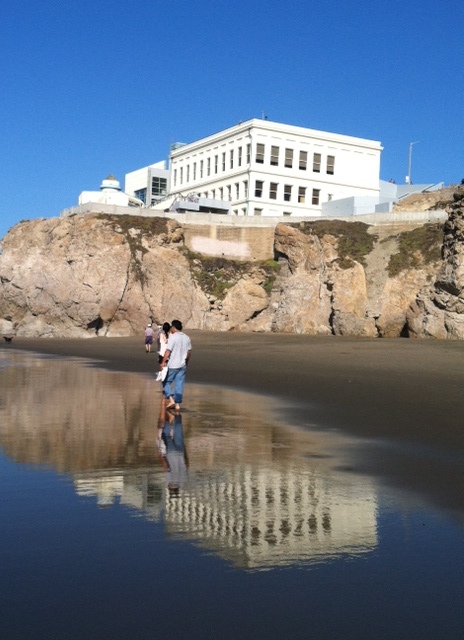 On the day after Thanksgiving, my family and I strolled over the wide expanse of sand, watching wetsuit-clad surfers, and checking out the historic Cliff House Restaurant that overlooks the beach. If I had to pick a favorite neighborhood in San Francisco (it’s hard, believe me! ), it would have to be North Beach, the quirky Little-Italy/beatnik/yuppie enclave that is bursting with a mix of old-school Italian restaurants and trendy shops and bistros. Despite its proximity to the theme-park-like Fisherman’s Wharf, North Beach has been able to preserve an authentic feel. 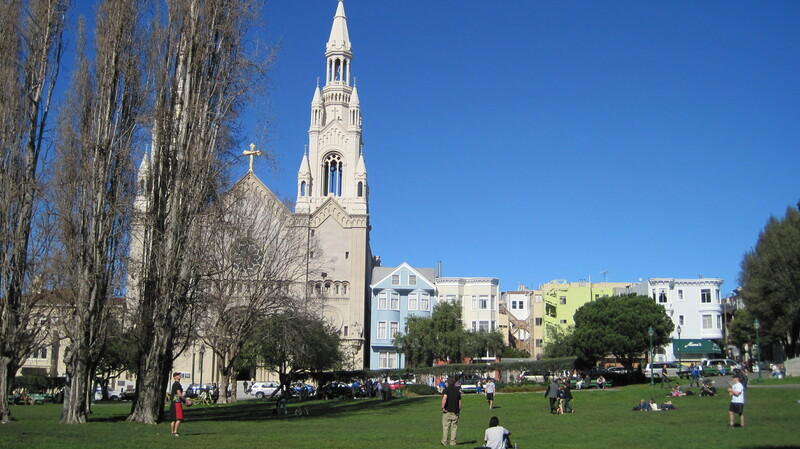 I love the walk down Columbus Avenue, with a stop for focaccia at the famous Liguria Bakery, a stroll through Washington Square Park with its tai chi classes, and a steep jaunt up Telegraph Hill to the imposing Coit Tower. Top it off with a descent down the leafy Filbert Steps, and you have the makings of a perfect morning. 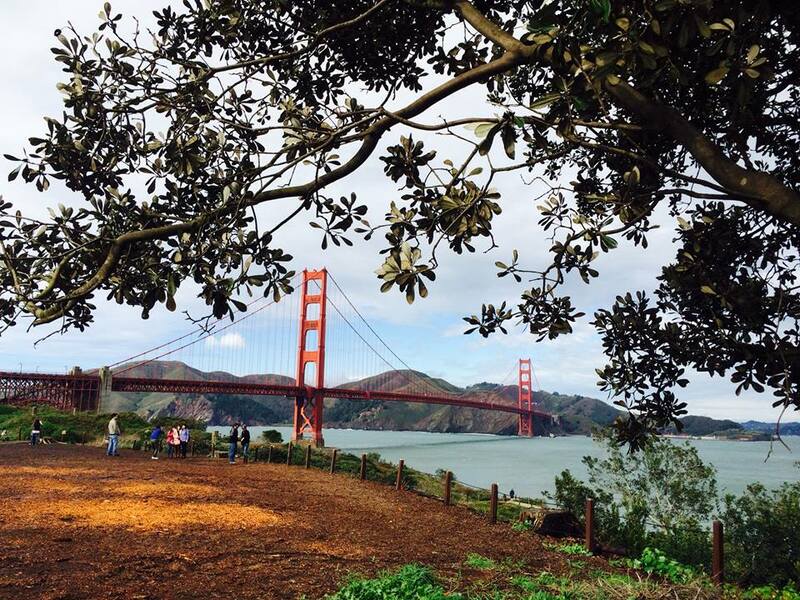 Touristy, yes, but the orange-hued bridge really is as iconic as it’s made out to be. It’s visible from all over the city, and every time I catch a glimpse, I get a little thrill. I finally made the trip across the bridge on foot on a recent visit, and the views of the bay were never-ending (despite a driving rain storm!). 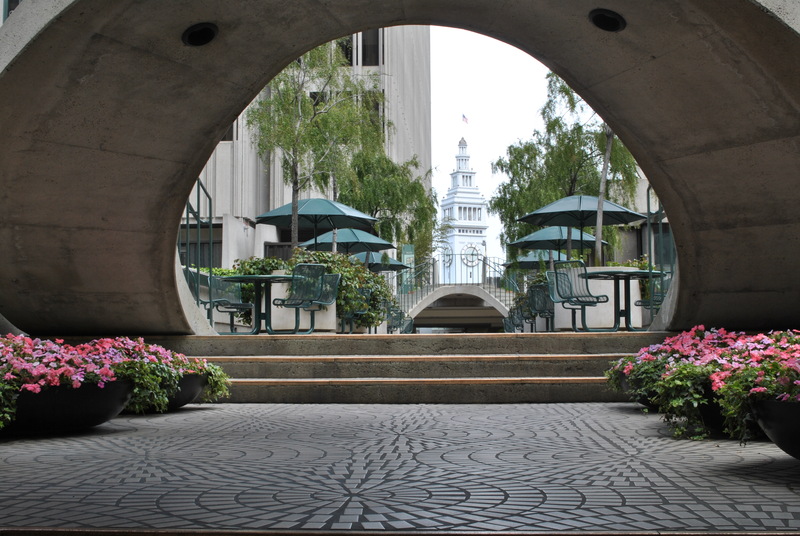 Actually, I love the entire Embarcadero. If I’m on my own for the day, I love nothing more than to power-walk along the wide, flat sidewalk on San Francisco’s eastern waterfront. The old Ferry Building with its tall clock tower is a bonus, especially on a Saturday morning, when the farmers’ market is under way. 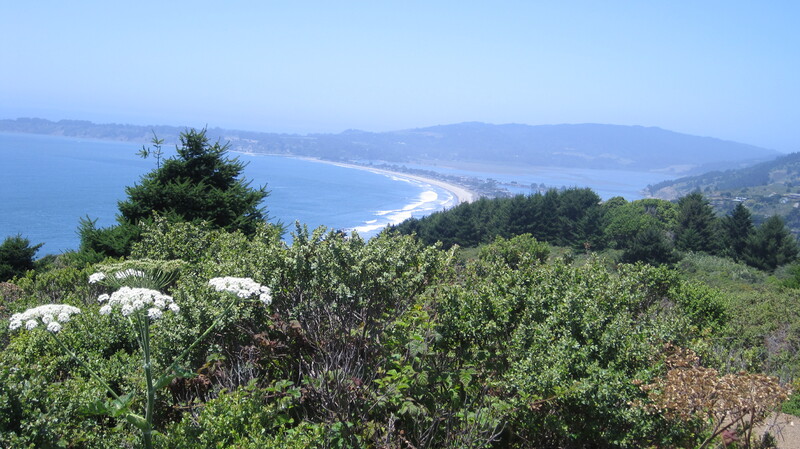 San Francisco’s proximity to so many wonders – Stinson Beach and the Dipsea Trail, Napa Valley, Pescadero, Half Moon Bay – make it a destination that is unparalleled, in my mind. I’ve visited nearly a dozen times over the past five years, and I feel like I’ve only scratched the surface in the day-trip department. Just miles from the city, you can find yourself deep in the woods, or sunning on a gorgeous beach cove. 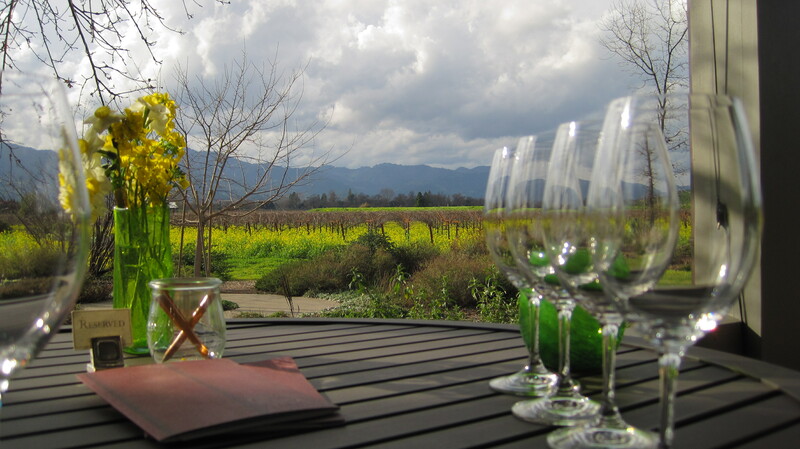 On another day, you can be sampling raw oysters straight from the ocean, or sipping wine drawn from the barrel. At more than 1,000 acres, the park running through the heart of San Francisco’s west side can feel like the middle of the country or a busy urban setting, depending where you are. I especially like the Japanese Tea Garden – especially on a cool, rainy day, when a pot of tea and miso soup just seems right. I was going to say Alcatraz, but I must admit that what I really loved about my visit to the old prison was not so much the tour of the island, but the ferry ride there and back. On a recent visit, my sister and I decided to do a sunset Alcatraz tour, and the views of the city across the bay turned out to the high point. 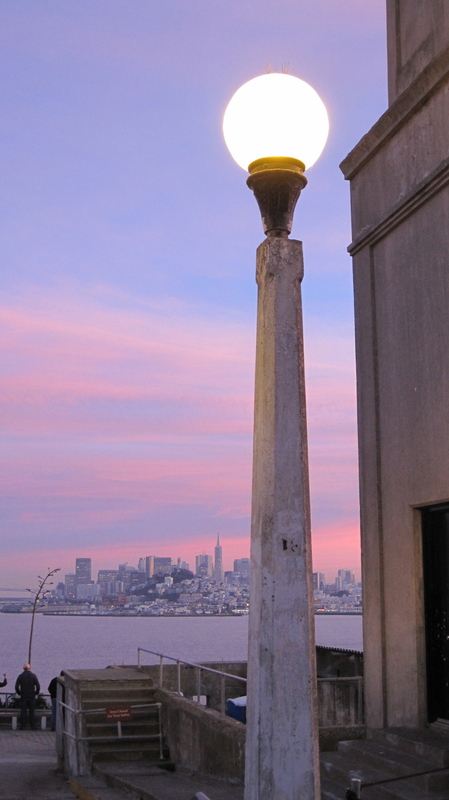 Of course the prison history is interesting, but San Francisco’s skyline at sunset? Superb. 9. That intangible, partly sophisticated, partly bohemian vibe of the city. 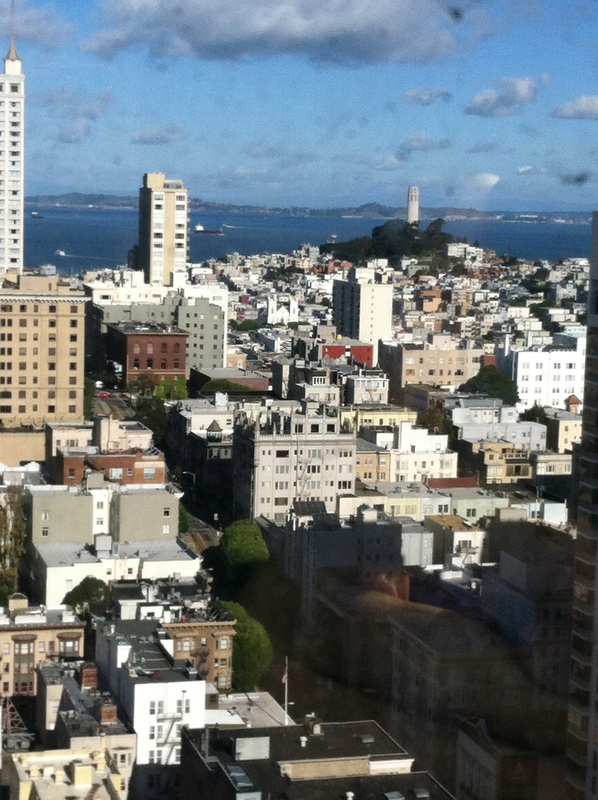 It’s hard to put a finger on it, but I just adore the mixture of San Francisco’s international districts, its hippie Haight-Ashbury flair, its cosmopolitan Union Square hotels, and the trendy/Latino mash-up of the Mission. 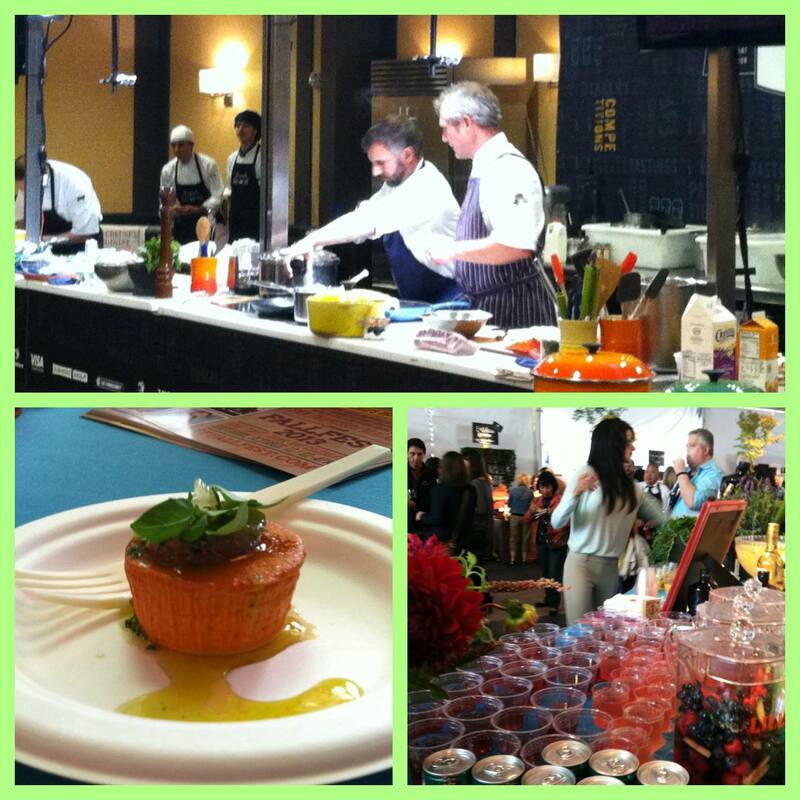 On one of my early visits, I took in several days of the SF Chefs (now Eat Drink SF) festival. At the time, the event was held under a huge tent in Union Square, and I must say the venue, combined with the row upon row of restaurant and beverage samples, made for one of the most enjoyable excursions I can remember. The festival, which now takes place at Fort Mason Center, is a reflection on the quality of food and drink in San Francisco. In my mind, world class.